Cafe Vidita is a family owned specialty coffee business. We simply love coffee and are passionate about producing only the finest quality Nicaraguan coffees. Vidita means life in Spanish and that is what coffee is to us…life! It all started in the 1930s when the family patriarch Jose Rene Paguaga was a young boy helping out on his father’s coffee farm. As he grew into an energetic teenager, his passion for coffee led him to start his own farm. He knew it would be a long-term commitment as he would not see the fruit of his labor for another 3-5 years, but coffee was in his blood and his journey began. Jose Rene Paguaga, or Don Rene as he is known, had to overcome many challenges as he grew his farm. The most difficult was when civil war came to Nicaragua in 1979. By that time, Don Rene had expanded his business to include multiple farms and a dry mill. He was forced to take his family out of the country to keep them safe. All was taken away by the radical government. They claimed that the farms were not being cared for. This was not true. That same year Don Rene’s farms had produced the highest yield in the Nueva Segovia region. Now they were no longer his. With strong determination Don Rene vowed that he would start all over again even if it had to be in a different country. He found a new home in Honduras where he established a coffee farm which in a ten years he grew from just a couple of acres to 100 acres. With the war in Nicaragua now ended and he returned to Nicaragua with his family, but he wasn’t able to recover the farms they took from him. Now in his seventies, Don Rene was starting yet again, but this time they were finally home! 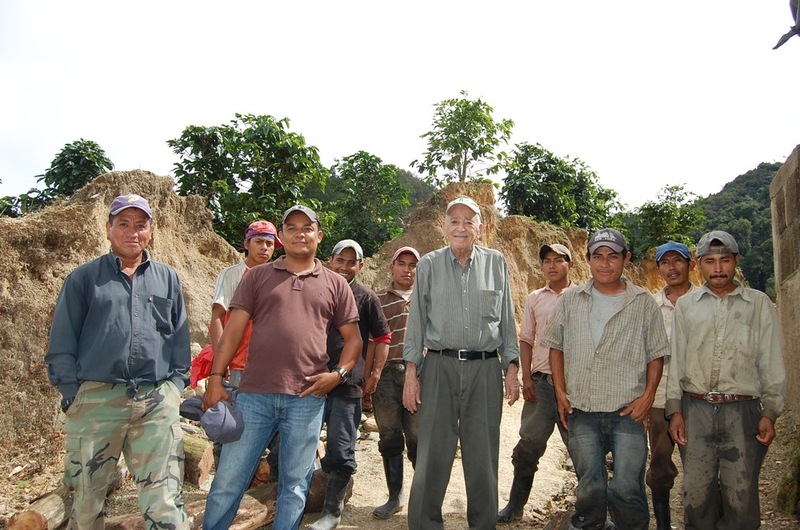 Today, Don Rene still has the energy, passion and dedication for producing the highest quality coffee. Three generations of Paguagas are involved in every aspect of coffee – we grow it, process it, cup it, identify exceptional lots, we build direct relationships with international coffee buyers and roasters to bring it to you. From our family to yours, we thank you for joining us in this journey…from our farm to your cup!